”Simply, I cannot tolerate injustice” Ambassador Edelstam said. 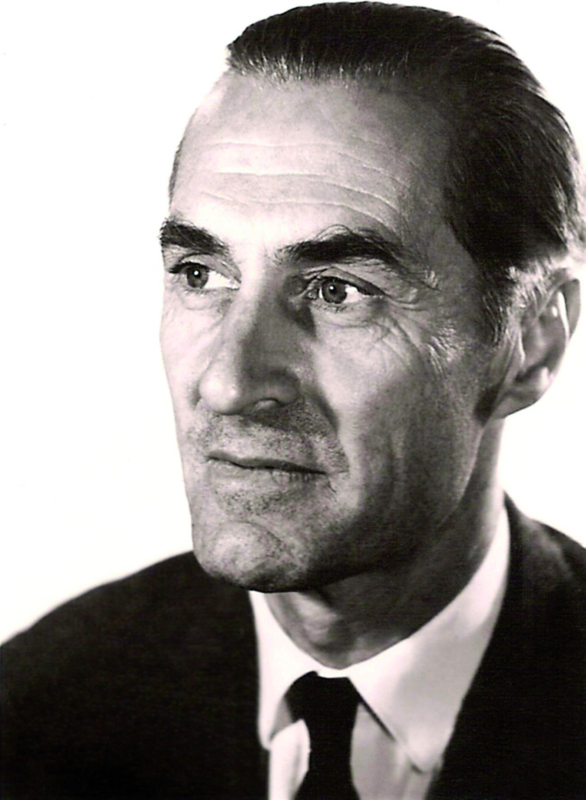 Harald Edelstam (1913-1989), is a Swedish diplomat who distinguished himself by his professional competence, his bravery and his civic courage in the fight for Human Rights. He was an early proponent and symbol of what is today known as the ”Responsibility to Protect” and his memorable acts contributed to save more than a thousand lives. 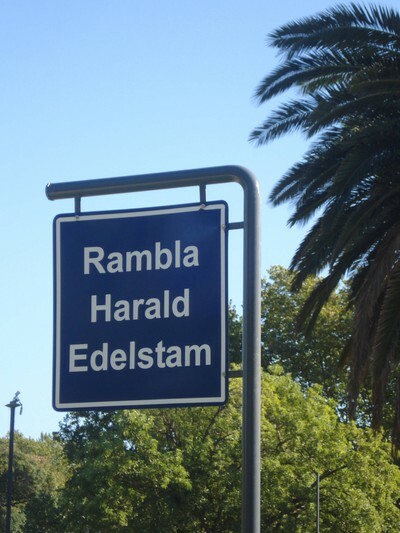 The Edelstam Foundation and the Edelstam Prize were founded in 2009 in Harald Edelstam’s name. The founders of the Edelstam Foundation have seen the need with education of human rights for diplomats and have therefore independently created the Edelstam Institute as an extension of the work with the Edelstam Foundation. During World War II, Edelstam worked as a diplomat in Nazi-occupied Norway. There, he helped to protect and smuggle hundreds of Norwegian resistance fighters and Jews to Sweden. He also acquired clandestine printing presses and authored newsletters that became an important counterweight to the German-controlled Nazi-propaganda in Norway. Later, Edelstam was the Swedish Ambassador to Chile during Augusto Pinochet’s military coup on 11th September 1973. He conducted major confrontations and negotiations with the Chilean military, and obtained the release of more than thousand of doomed people from the notorious concentration camp at the National Stadium and elsewhere in Chile. These were brought safely to Sweden. The military regime did not appreciate Edelstam’s engagement and declared him “persona non grata”. In these ways, Ambassador Edelstam challenged those who extended their power by curtailing democracy and persecuting others. During his life time, he saved more than 1500 people. Harald Edelstam was born in Stockholm on the 17th of March 1913. Edelstam started his career within the military sector. After completing a degree in Law in 1939, the Swedish Ministry of Foreign Affairs immediately recruited Edelstam. His first assignment was as Attaché in Rome. In 1941 he served in Berlin and in Oslo between 1942 and 1944. During 1944 to 1945 Edelstam was forced to sit in the Ministry of Foreign Affair’s attic and correct travel expense reports, as punishment because of his actions in Norway. Restitution finally came when a new Minister of Foreign Affairs was appointed and Edelstam was appointed as the Minister’s Secretary. Between 1948 and 1952 he became the First Secretary in The Hague. From 1952 to 1954 he was stationed in Warsaw. Thereafter Edelstam was stationed in Stockholm, first in the Ministry of Foreign Affairs’ Trade Department and from 1956 in the Political Department. Edelstam was Embassy Counsellor in Vietnam between 1958 and 1962, and General Consul in Istanbul between 1962 and 1965. Edelstam then became Ambassador in Djakarta, from 1965 to 1969, Guatemala 1969-1971, Santiago de Chile 1972-1973, and finally in Algiers from 1974 until he retired in 1979, 66 years old. In 1939 Edelstam married Louise von Rosen with whom he had three sons: Carl, Hans, and Erik Edelstam. From 1959 to 1962 Edelstam was married to Natascha Michew, and from 1981 to 1989 Christine Colmain. Edelstam passed away on the 16th of April 1989 and is buried at Ekerö Church outside Stockholm. Harald Edelstam worked during the latter part of World War II as a diplomat in Nazi-occupied Norway. There, Edelstam saved the lives of hundreds of Norwegian resistence fighters and Jews, and functioned as a contact link between the Germans and the Norwegian resistence movement “Hjemmefronten”, which came to call Edelstam the “Black Pimpernel”. Further, Edelstam was active in the smuggling of threatened Norwegian resistence fighters and Jews to Sweden; people whom Edelstam took to protecting in his own private home. The greatest achievements were, however, in the secret information work through an illegal newspaper. As a diplomat, Edelstam had access to a radio which he used to listen to broadcasts from London. By secret means, he managed to acquire printing presses, ink and printing paper. After the radio broadcasts he authored newsletters that became an important counterweight to the German-controlled Nazi propaganda in Norway. 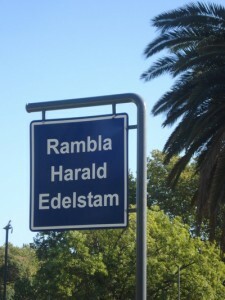 Harald Edelstam became Ambassdor in Santiago de Chile 1972 and was at the time of Augusto Pinchet’s military coup on the 11th September 1973 the Swedish Ambassador in the country. Edelstam openly expressed his sympathy for the popularly elected socialist President Salvador Allende. After Allende was overthrown, Edelstam saved countless people by among other things offering persecuted Chileans and other Latin Americans who had fled to Chile from military dictatorships in Uruguay and Brazil, safe conduct to, and asylum in, Sweden. Following the military coup, Edelstam conducted several major actions, whereof one was when the Cuban Embassy was besieged by Chilean troops. 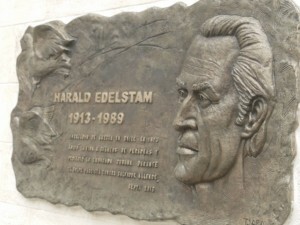 Edelstam used his diplomatic immunity and by going into the Cuban Embassy grounds succeeded in stopping the shooting against the Cuban Embassy as well as starting negotiations with the Chilean military. This resulted in an evacuation of the embassy staff, and in collaboration with the Swedish Prime Minister, Olof Palme, Edelstam immediately took on the task of protecting power over the Cuban Embassy buildings. The next day, Edelstam raised the Swedish flag over the Cuban Embassy. Another action that Edelstam conducted was the rescue of 58 Uruguayan “Tupamaros” from the notorious concentration camp at the National Stadium. Based on information and appeals from a number of prisoners, Edelstam and Vice Consul Bengt Oldenburg succeeded in obtaining the release of the 58 doomed “Tupamaros” and could move them to safety. The military regime naturally did not appreciate Edelstam’s engagement and, after a fistfight at a hospital between Swedish Embassy staff and Chilean military over a sick woman under Swedish protection, he was expelled. On 4th December 1973 Edelstam was declared “persona non grata” and left Chile 5 days later. Today, Harald Edelstam is regarded as a hero throughout Latin America.